global organisation in the field of Open and Distance Education. From the summer of 2015 UNINETTUNO was officially named as the Strategic hub for South Europe, Arab Countries and the Mediterranean region. IAU is the association of the international institutions of high education, founded in 1950 and directly connected with UNESCO. It unites universities and organisations from about 120 countries around the world, that collaborate with various international organisations, policy-makers, specialists and researchers at the global level in the field of common actions in Higher Education. UNINETTUNO became an institutional member from the beginning of 2015. EADTU is the main European association of distance teaching universities, and it is at the centre of the project of European universities’ modernisation. Its mission is the creation of a common European space in accordance with the Declaration of Bologna and the ET2020 strategy. UNINETTUNO is an active member of this association. It is the first pan-European MOOC. It was launched in April 2013 in collaboration with the European Commission and with the participation of 11 partners from 8 European and 3 non-European countries. UNINETTUNO joined from the birth of OpenupEd, providing 227 free courses. The European Commission portal is dedicated to the offer of open educational resources of the most important universities in Europe. UNINETTUNO is present with a wide range of university courses open to all. The peculiarity of UNINETTUNO educational offer is multilingual and multidisciplinary approach, that placed the university at the top of the portal in terms of contacts and enrolment in single courses. 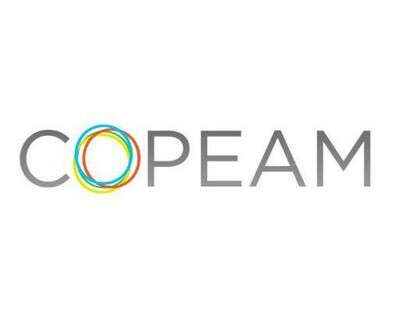 COPEAM is the international association that brings together all public broadcasters of European and Arab countries in the Mediterranean region. Within the framework of its activities in support of the cooperation in the audiovisual sector, the working Group ‘Education’ was born with the purpose of designing, producing and distributing of training activities to the journalists and audiovisual operators. During the last conference in Tunis in May 2013 it was resolved to commence the study of training solutions through e-leanring method. These activities will be held on the multilingual platform of UNINETTUNO that will coordinate the design and delivery of modules at the request of the partners. It is an organisation located in Oxford, the members of which are professors, rectors and scholars from more than 30 countries. Its mission is to support and promote the international coordination in order to enhance and improve the research and methods of education. The Rector of the Università Telematica Internazionale UNINETTUNO, Maria Amata Garito, is a member of the Oxford Academic Union. It is a public organisation dedicated to promotion, communication and exchange of ideas among rectors, deans and academic leaders around the world. The association aims at sharing, improving and developing the digital content of online higher education institutions and universities, around a digital space that is open to all, in all the countries of the Mediterranean region. It is based on the voluntary participation of institutions, coming from the Union for the Mediterranean (UfM), in the field of digital technologies. Among the partners there is also the Università Telematica Internazionale UNINETTUNO. The Group’s objective is to work in public-private partnership with the European Commission, national governments and education institutions in order to accelerate the diffusion of e-learning in Europe. It is an international platform, the mission of which is "Empowering the world to choose (for) education". It is an aggregator of free online courses, where you can find courses of UNINETTUNO.